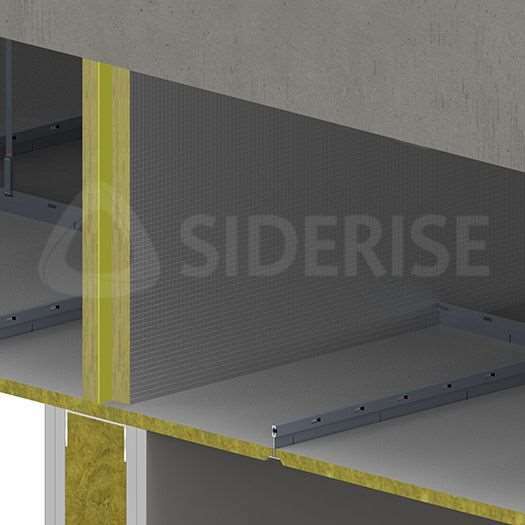 SIDERISE acoustic void barriers are primarily intended to reduce sound transmission via hidden voids offering potential 'cross-talk' paths to adjoining areas. Typical examples include, suspended ceiling or raised access floor voids at partition lines, and the cavity formed at floor slab abutments to curtain walls. Frequently the sound separation achieved between adjoining rooms or offices is severely limited by ‘cross-talk' via a common void. This occurs when the transmission loss associated with this sound path is less than that provided by the primary separating element (e.g. partition or floor). The inclusion of SIDERISE acoustic void barriers can normally remedy this problem for all of these conditions.